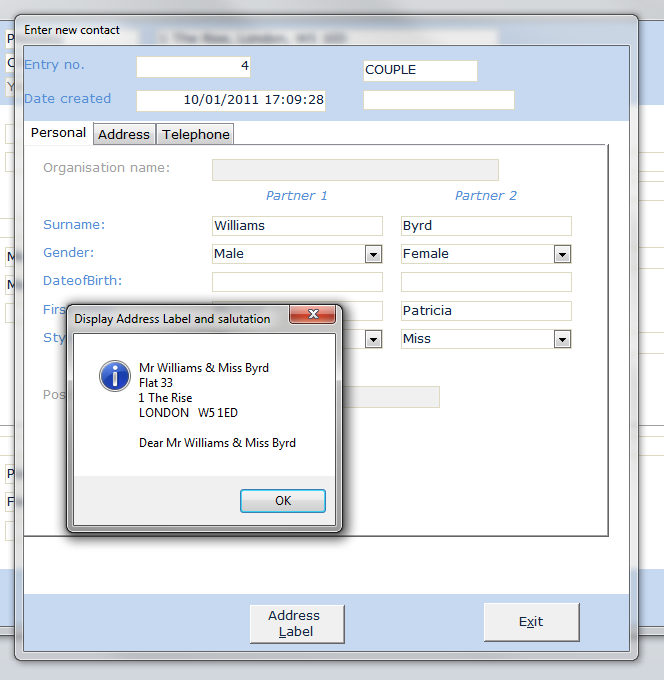 The layout of the data entry screens are determined by your contact type. This simplifies data entry. Ariel can produce mailing lables which fit the UK standard address. You can have formal or informal salutations etc.